About 3 million older adults are treated in the emergency department for fall-related injuries each year. Matthew L. Smith, PhD, MPH, CHES, associate director of the Texas A&M Center for Population Health and Aging, distills his research on fall prevention programs and offers some practical advice. Christina Sumners: And we are here today with Dr. Matthew Smith. Maybe you could tell us a little bit about yourself, Dr. Smith? Matthew Smith: Pleasure to be here today, I am Matthew Smith and I am the co-director of our university-wide Center for Population Health and Aging. I’m also on faculty at the School of Public Health. An evaluator and interventionist by training, dealing mostly with older adult health. Christina Sumners: Fascinating, and one of the parts of older adult health, one we’re going to talk about today, is fall prevention. So why are falls a problem, especially in the older population? Matthew Smith: You know, falls are a huge problem as we age and about one in four older adults will fall each and every single year. Now with that said, a large proportion of those individuals will actually become injured and require some form of medical attention. So falls can truly be one of those incidents that happens very quickly, but can be the start of a negative trajectory that truly changes people’s lives, not only the individual, but their family, and really contribute to societal health care burdens. Christina Sumners: So what is it about falls that causes all of these negative trajectories? Matthew Smith: There are so many different reasons why people fall, and a lot of these are internal to the individual, but also external to them, so, we think about naturally getting older, multiple older adults have multiple chronic conditions, and sometimes those conditions can influence the medications they take, which can have negative ramifications, cause dizziness and other types of issues. But also some of these conditions can function or, impede their physical functioning. A lot of times when people age, we have issues where they don’t necessarily engage in the same types of activities that they normally would. So therefore they avoid doing certain things because they’re actually fearful of falling, and that fear of falling then hinders them from doing things, and they can atrophy. They become less familiar with daily activities, and can actually become more and more at risk as time goes on. Christina Sumners: So it’s kind of a vicious circle. They’re afraid of falling, so they don’t do things, so they could become more at risk of falling? Matthew Smith: Absolutely, fear of falling is one of the biggest indicators and risk factors for falls for that exact reason. Tim Schnettler: You know and you mentioned, I remember growing up, if a relative who was older had an injury, broke a hip or something like that, everybody always kinda really panicked, because it was like, that was the beginning of the end. Matthew Smith: Mm hmm, absolutely. And when you think about somebody who becomes injured and they go into the hospital, you think about how a fracture might now go ahead and require different types of medications. Now all of a sudden they’re not on the same physical activity regimen that they’ve been on. They’ve now changed their sleep patterns. They’ve now changed their diet. Everything now about them has started to change and when somebody really starts to get off on their daily activities and routines, they can really start to change so many things, but it’s also a loss of independence. You know there’s something mentally about losing that independence that truly influences quality of life and an older adult’s well-being, which also contributes to that downward cycle. Tim Schnettler: Does it also, I mean when someone say for instance, has a hip injury and they have to go in and get a hip replacement. I mean is that one of the things involved as well, that you know, you’ve got that total hip replacement and sometimes that doesn’t always work. Matthew Smith: Absolutely. And so with hip replacement of course, that’s one of the common injuries that we talk about, but there’s so many different fractures that occur, actually most of the common fractures from a fall are actually in the arm and shoulder, because it’s natural to put that arm out to stop yourself. But also we have a lot of traumatic head injury, and brain injury that results from falls. But when you have that hip fracture, again, that is part of your mobility, and depending on who you are, how frail you are and how apt you were to get that surgery, you know that’s a major event. So it can be very helpful, but it can also change the way that they’re mobile or immobile for the rest of their lives. Christina Sumners: That makes total sense. So what can people do to prevent falls? Matthew Smith: So many different things you can do to prevent falls and you know, falls are largely preventable. The problem is, is that they’re so common, but we can prevent them. So with that said, there are many different things we can do. First and foremost is, make sure that we get those medications checked. Have open communication with you physicians and clinicians. Make sure that you talk about all those different medications that you’re on. A lot of those medications can have those negative side effects when it comes to, you know postural hypertension or certain types of dizziness. Matthew Smith: Whether you’re taking it with food or not. But also some of them can interact with one another, therefore causing some of those ramifications that can drop blood pressure, et cetera. So with that said, that’s certainly one of them. Another thing you can do to prevent falls is, make sure that you get your vision checked. So with your vision, so many times, many different chronic conditions, and as people age vision can decline. And obviously when things are underfoot, people can trip, people don’t necessarily see exactly what’s in front of them. We certainly have that risk factor, so making sure that we’re up to speed with our glasses, our contacts and our vision is certainly very very important. The other thing of course, is the external environment and the home environment. And making sure that we can modify our homes to be appropriate for us as we age. So many times we have dim lighting. So many times we don’t have hand rails or guard rails or grab bars in the bathrooms. So many times we have loose rugs or ottomans or things underfoot that can cause a fall, wiring. So we really need to think about that home environment and what we can do to make it safe, but also still comfortable for the person as they’re living there. And finally, lifestyle behavior, we need to be physically active. It is never too late for interventions, and older adults can always benefit from physical activity and lifestyle change. So what we really want to do is focus on that strength, that balance, that flexibility, to truly allow them to be able to have that lower limb strength, that lower limb functioning, so that they can prevent a fall and even manage a fall if one does occur. Tim Schnettler: You mention all those things. Have there been any studies that indicate what is the most prevalent cause of a fall? I mean is it, is it vision, is it medication, is it just age? I mean is there any studies that support anything like that? Matthew Smith: You know it’s such a multi-faceted and individualistic factor and you know situation, that it really kind of depends. For example, we know that people who are more active end up falling outside of the home. People who are more frail and less active fall inside the home. And so it kinda just depends on what’s going on. Is it that they’re just moving too fast? They’re actually so active that they just, you know, one misstep and step off a curb and there ya go versus it’s something where you just weren’t prepared in the house and you didn’t have a hand rail. You tried to grab a towel rack, it couldn’t support the weight. There’s so many different things. So with that said, so much of it is really about physical activity, making sure that your lower limbs are prepared and capable of doing what you want them to do. So that no matter what it is, you can truly react, you can modify, you can be adaptive, reactive. Christina Sumners: And what has your research shown about the best way to prevent falls or to stay active? Matthew Smith: So so much of what we do is in terms of interventions and programming. Matthew Smith: So as an evaluator of evidence based programs for fall prevention, we have a menu of different types of programs that are really designed and well suited for older adults with different levels of frailty and different levels of risk. So with that said, there’s programs like Tai chi which many people know and that’s shifting your body weight, shifting your arms, doing these different motions so that you can better strengthen that lower leg, those muscles. But at the same time there’s other programs like a Matter of Balance and we offer a Matter of Balance here locally where this is a program that not only has educational components about how best to overcome those negative fears of falling and understand that falls can be preventable, but it also incorporates that physical activity and some of those environmental modifications. But then there’s other types of programs that are a little more specific to people who are in home or frail, like the Otago Education Program and that’s ran by a physical therapist who comes into the home and guides the individual through a set of different types of coordinated and progressively challenging activities. With that said, so much of our research says that these programs can truly influence and reduce falls but also when used in conjunction, either simultaneously or currently, we can really keep this individual in a longer term kinda care so that they can continue to have that upward cycle. And so many of these people actually had a fall, and they want to overcome a fall and never have it happen again. Christina Sumners: And so it really is individualized depending on the person’s current strength and abilities and frailty as you put it. So what should people who are maybe caring for an older family member, what would be their first step when trying to figure out what program is best? Matthew Smith: So first and foremost I recommend looking at their local area agency on aging. And you can find these triple A’s as they call them, online. And you can find out one, a phone number to call if you wanna talk to somebody and see what’s best, but two, online they should be able to list out exactly what types of interventions or programs they’re offering in the local area. But with that said, so many of the different programs will tell you exactly who they’re for. Whether it’s for those individuals who are more community dwelling and active, whether those who are a little more home bound or even in residential facilities, so you can really find out a lot by asking, because those of us who know these programs know that they work better for certain people than others. Tim Schnettler: Can you talk a little bit more about the OEP? You mentioned that, and that’s a recent study that you all had something published on. Can you tell us a little bit more about that and expand on that a little bit? Matthew Smith: Fantastic, so, the Otago Education Program, it’s a wonderful program, actually brought to the United States from New Zealand. And we brought it into this country, and we were able to kind of test it out. And what we were able to determine is that a physical therapist comes to an individuals home and over an eight week period engages them where they are in terms of their physical functioning and mobility and has them do a series of about 17 different types of strength and flexibility balance building activities. And these again, are done with the individual over time, getting them so that they can start to then become a little more independent. Now most of these people are home bound, but at the same time they don’t have to be. So with that said, as you start to build the strength, as you work with a physical therapist over the weeks, you also want to go ahead and engage and then a walking program and then start to get out, hopefully recommended into one of these other community based programs like a Matter of Balance, Tai chi, so that you can now have these group based aspects out in the community, outside of your home. But the Otago program is phenomenal, but we also learn that one on one physical therapy is fantastic, but at some point we can also do these in group base settings. So we’ve started taking these types of programs and translating them for use in community, so that we can have that physical therapist and other allied health professionals really reach more and more people at the same time. Instead of just one on one, which we know can be very expensive, but also time consuming. Christina Sumners: And what can people do if maybe they’re living in a rural area or a small town without any of these programs? Matthew Smith: So we do our best to try to imbed these programs where people live. And we try to reduce the number of minutes and miles from where they are. And so whether we can imbed some of these into faith based organizations, or senior centers, whatever’s out there in those rural areas, we try to do. But the other thing is that there’s been a lot of translations of internet based translations. So we’ve been taking these programs that are very effective face to face, and we’ve put them into an online digestible format so that people if they have high speed broadband, which is a whole other issue in rural areas, but if they can get that type of access, they can do it on their own, they can do it at their own pace, and they can actually connect with others who are doing the program so that they can kinda form their own community even though they don’t necessarily see one another. Christina Sumners: And that’s effective as well? Matthew Smith: Absolutely, yes. And for the Otago program, the Stand Tall intervention, we actually just created and tested and it’s having very positive effects. Christina Sumners: And so that’s an online version of this successful Otago program? Christina Sumners: Great! We don’t get a lot of snow or ice here in Texas, but for people listening in other parts of the country, as we move into winter, what are some things people can keep in mind to keep from falling on the ice? Matthew Smith: So being a native from Indianapolis, Indiana, I am very familiar with the winter months. And thank goodness I’m down here in Texas. (laughing) But you know, there’s something that is very difficult when you think about you know, navigating the ice and navigating the weather. So first and foremost, most of the people who live up in the North are a little more used to it, therefore they’ve had years and years of practice, whereas if you’re traveling to Texas up north, you might not know how to handle ice at all. So the one thing is, first and foremost, make sure that you’re very aware of your surroundings. Make sure that you’re selecting the right types of shoes that have certain type of grip. Everyone knows if you’ve been wearing dress shoes, a lot of guys out there, you step on something slick and your shoes just go out from under you. So if you don’t choose the right shoes, then you’re really gonna have some sort of difficulty. The other thing is making sure you position yourself whether you’re driving or whether you’re walking where you can have some sort of built structure, meaning handrails, guardrails, even though stairs might be seen as a little more dangerous generally, sometimes those ramps for handicap accessibility can actually be more dangerous in those weather situations where stairs have handrails and can even be a little safer. I think another thing to think about when we think about fall prevention is that because this is so pervasive, and because it’s such a big issue, that it’s not just community based interventions, it’s not just clinical interventions, it’s actually the interplay between the two. We need to make sure that the clinicians truly understand what is available in the communities, and that the communities really make sure that older adult interacts appropriately with their clinician and tells them what they’re learning in talks. So what we try to do is integrate these clinical community type interventions so that we can collaborate and create really a community of care. But with that said, there’s also more than just that. We have to think about policies, we have to think about not only the policies at an organizational level like a hospital, but we need to think about those policies at a state or national level so that we can start thinking about how we can support these evidence based programs and some of these different interventions and technologies, so that they can truly be accessible and used by older adults. So here in Texas we have the Texas Active for Life coalition. This is a coalition that I co-direct along with Cindy Quinn whose with our Center for Population Health and Aging. And this is a state wide coalition that brings together multiple disciplines to make sure that we all for the same purpose come together for the care of older adults not just for fall prevention, but for chronic disease management, for physical activity, just for access and utilization of care. Christina Sumners: So everyone comes together with the similar goals across the state. Tim Schnettler: And leverages their skillsets and their resources. Christina Sumners: So you mentioned this community of care, what role do family members and loved ones have in this community? Matthew Smith: A person’s social network can really influence their falls risk. And so what we really need to think about is who is it that’s around them, and what is it that they contribute? And so a lot of times in our society we have older adults living with their adult children or their families. And so with that said, when we think about the environments you now have multi generational homes where they could be kids and older adults in the same place and therefore nothing’s in the same location from day to day in the living room and there’s, you know toy’s and junk everywhere. But so the environmental modification, so changing the home so that it can really accommodate those older adults is so so important. But in addition to that, you know, older adults can really get a lot of support from their friends, from their children, from their spouses, whoever it is, and so really what we need to think about is how do we create that? These evidence based programs, because they’re group based, truly create more of like a support network. A lot of people working together, encouraging, kind of like when you go to the gym and work out, you need buddies to say hey, are you doing your exercises? Are you gonna come to class next week? And so there’s that social support and drivers. In the same way, a family member can do the same thing. So it’s not just looking at the physical risks, but it’s going on a walk, but also encouraging them to do what they’re recommended to do. Going to them with the physician so that you have multiple sets of ears listening and getting the same recommendation so that everybody gets the same information and there’s no confusion. Christina Sumners: Even despite their best effort, sometimes people do find themselves falling. Is there anything they can do in that moment? Is there anything we can do to prepare them for that moment? Matthew Smith: So much of what we do is in terms of not just preventing falls, but actually being able to manage the fall. And so much of that is, not necessarily becoming a stunt man or woman and learning how to fall and tuck and roll, and we’ve all seen the movies. People jumping out of moving cars, but, you know really what it comes down to is making sure that when you do fall, and if you find yourself in that situation, how can you get up, how can you get help? Because the longer that you’re on the ground, unable to move, and left unattended, the more likely you are to have negative ramifications that can result in hospitalization and truly negative outcomes including death. So with that said, a lot of what we try to do is make sure that if somebody does fall, how can they truly get to a phone? Do they have a medical alert bracelet? Is it something they can work on. Their strength, both lower extremities, but also their upper body so that they can truly stand back up if they can, or get to what they need. Tim Schnettler: One thing I wanted to ask, and I should have thought of this earlier. We talked about age factors. Is there any studies that show that it’s, falls are more prevalent in men versus women, or vice versa? Matthew Smith: Yes there are a lot of different factors. Of who an individual is that can show as risk factors for falls. So first and foremost, with older age we certainly see more fall related risk. But with that said we actually see that men oftentimes have greater risk of falls than women. However, that’s really based on the proportions. Just because first and foremost, there are fewer men in older age than there are women, so women are actually falling in greater number. But oftentimes men when they do fall, it becomes much more severe. In short, while the rates of falls aren’t that different between men and women, oftentimes men not only show a larger risk for falls, but oftentimes their falls can be more severe. Christina Sumners: And so you talk about the severity of falls. How do you measure the severity? Is it just by outcomes whether they break a bone? Are there other factors to consider? Matthew Smith: Certainly so. Typically the severity is truly based on injury. So many times somebody falls and it’s okay, they fell on the couch, and really a fall is just, going from one level to another level unintentionally. (laughing) So if I was preparing to sit down on the couch, but I went to the couch in a way that wasn’t under my control, that’s technically a fall. And so with that said, that’s not very severe. I was going to the couch. However if that fall was in the exact same way, the couch wasn’t there and I ended up, you know landing flat on my rump or hitting my head, now all of a sudden when an injury comes into play, it becomes much more severe, there’s a consequence. So with that said, there’s so many times where it can be bumps and bruises, but a lot of times there’s a lot of fractures. And so with a fracture, and with an emergency room visit or a hospitalization, the severity is seen to be higher. Christina Sumners: So if you’re in a situation where you see someone falling, how should you approach that? Matthew Smith: So the thing is, is that if you witness a fall, you don’t always know how severe it could be. You don’t know if they’ve hit their head, you don’t know if they’ve hurt themselves, so the first thing to do is not rush them to their feet. You need to try to assess the situation, and see if you need to at least call 911, see if somebody is around and get advanced medical care. If in fact they’re okay, they have their faculties about them, you want to help them to their feet. And you want to do so very very carefully, or probably into a sitted situation, or seated situation. Oftentimes what ends up happening is you reach out and you wanna clasp hands and pull each other up, but at the same time what you really need to do is clasp wrists and so that you grab each other on a stronger weight bearing situation or part of the body so that when you yank them up you don’t cause any potential risk especially if this person is older, frail or whatever it is. But with that said, once you can actually get them up, get them seated, you just really need to not rush the situation. Make sure that they are ready for that, because if they’re on the ground and they’re comfortable, it’s quite okay to keep them there. As long as they’re not in harms way with traffic, et cetera. Christina Sumners: Wonderful, this has been really helpful, Dr. Smith. I’ve learned a lot. Christina Sumners: Thank you so much for being here today on our podcast. Matthew Smith: My pleasure, thank you for having me. 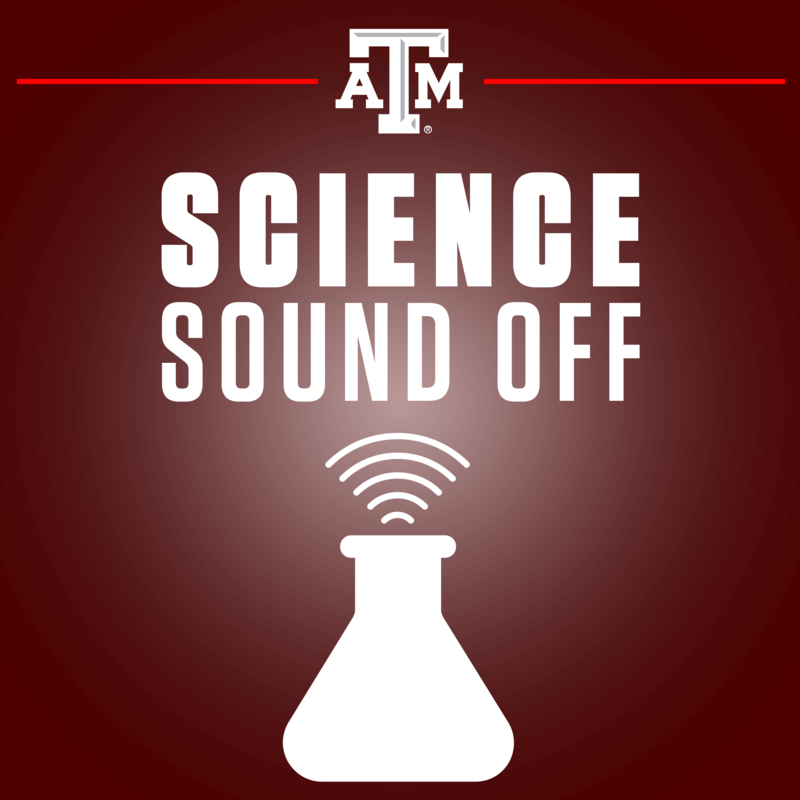 Christina Sumners: And thank you so much for joining us today on Science Sound Off, and we’ll see you next time!